Last year almost 80 per cent of the population had its say on the rights of queer Australians. Commonsense ultimately won out and marriage equality was passed; but the dehumanising debate that preceded this victory has been hard to forget. 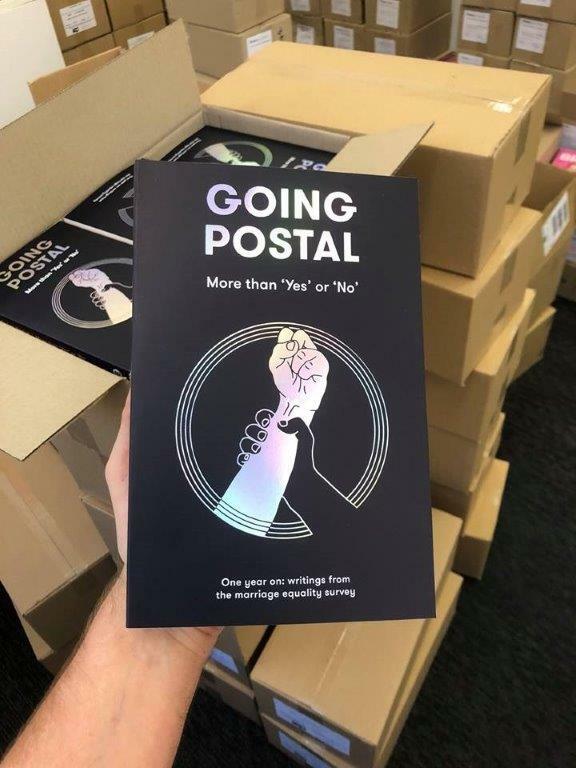 Today, on the first anniversary of the announcement of the result of the controversial 2017 Australian Marriage Postal Survey, Brow Books is proud to publish Going Postal: More than 'Yes' or 'No'. You can order Going Postal below or find it at any of our stockists. You can also pick it up from one of our events around Australia. 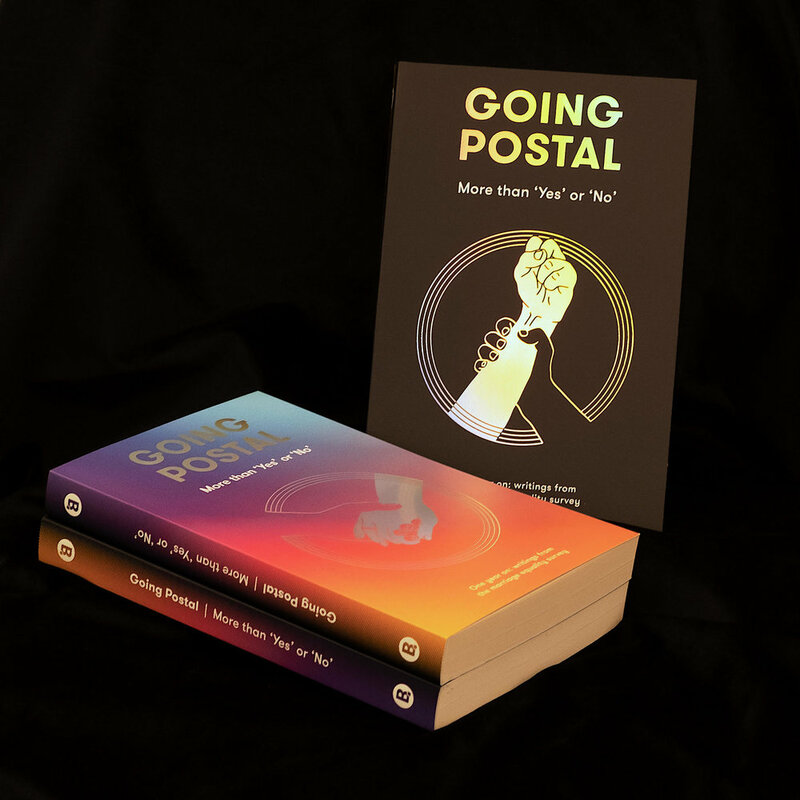 On the back of some excellent readings and conversations in Melbourne and Canberra, we are continuing to host events for Going Postal around the country. Check out the list below and come along if we're in your neck of the woods. Friday 30th November, 5:30pm (6pm start), 8pm finish. Going Postal features the following talented writers, artists and poets (in alphabetical order): Dennis Altman, Timmah Ball, Stuart Barnes, Kiri Bear, Roz Bellamy, Behrouz Boochani, Morgan Carpenter, Jessica Cohen, Simon Copland, Carolyn D’Cruz, Ann Deslandes, Quinn Eades, Susanne Ferwerda, Sam Flynn, Cee Frances, Eden S French, Fury, Nayuka Gorrie, Sarah Hart, Judy Horacek, Erin Hortle, Tilly Houghton, Cynthia Huang, Simon Hunt, Jess Ison, Jamie James, Rebecca Jessen, Heather Grace Jones, Timothy Jones, Fiona Kelly, Kochava Lilit, Nina Lord, Felicity Marlowe, Fiona McGregor, Amy Middleton, Scott-Patrick Mitchell, Joni Nelson, Jennifer Power, Hannah Robert, Candy Royalle, Omar J Sakr, Chloe Sargeant, Edie Shepherd, Son Vivienne, Briohny Walker, Kelly Walker, Kaya Wilson, and Roxanne Wilson. 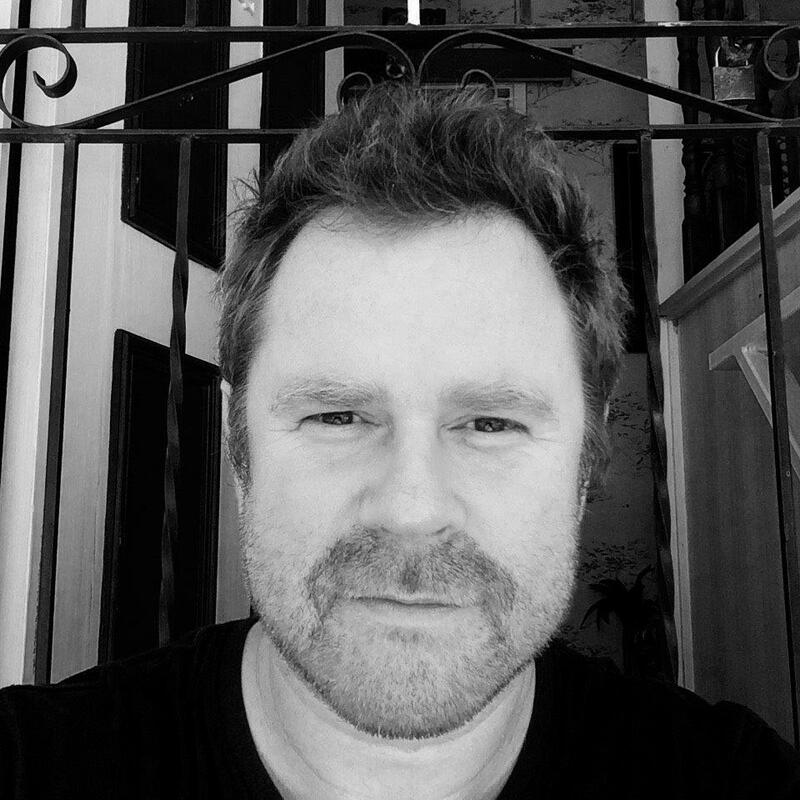 Quinn Eades is a Tracey Banivanua Mar Research Fellow and Lecturer in Interdisciplinary Studies at La Trobe University. A writer, researcher, gutter philosopher and poet, his book Rallying was awarded the 2018 Mary Gilmore Award for best first book of poetry. 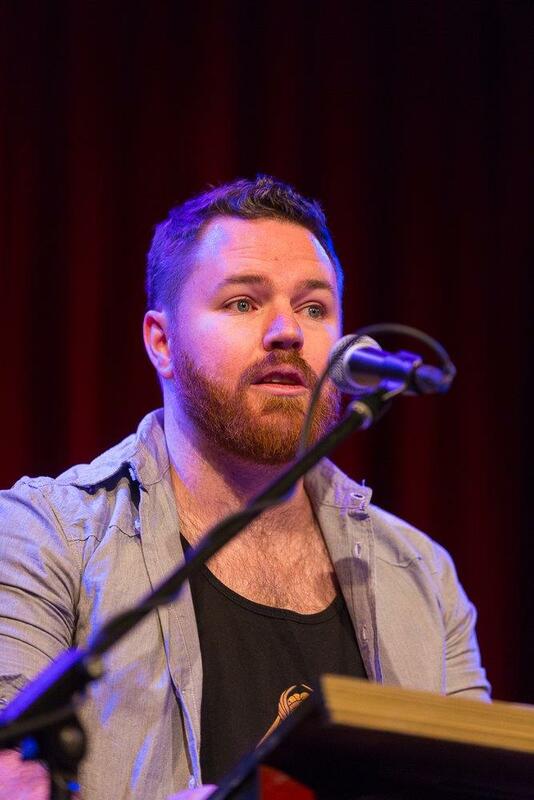 Quinn is the author of all the beginnings: a queer autobiography of the body , and he recently published a co-edited volume of life-writing, poetry, and scholarship titled Offshoot: Contemporary Life Writing Methodologies and Practice . When he’s not working, Quinn is hanging with his kids, cuddling his pups, and watching reruns of The Unbreakable Kimmy Schmidt or drag makeup tutorials on youtube.